Set out below are comments on the key discussion questions raised in Chapter 5 of the Discussion Paper. The difficulties that Hong Kong has experienced in its attempts to establish a successful growth market are similar to those encountered in the United Kingdom. It was only after the failures of the Unlisted Securities Market and the so-called Rule 4.2 trading system, that the London Stock Exchange (the “LSE”) came up with the concept of a lightly regulated, disclosure-based, caveat emptor market as the model for its Alternative Investment Market (“AIM”). As detailed in the Discussion Paper, AIM is now by most measures the leading growth enterprise market in the world. Indeed, the view has been expressed that AIM is today more likely to be the first port of call of any substantial company seeking a listing, to the exclusion of the LSE’s main market1. While ostensibly a growth company market, it has attracted a number of substantial companies: the top 50 companies all have a market capitalisation of more than £100 million, while Sportingbet, the largest company, has a market capitalisation of over £1.5 billion. In addition, deterred by the increasing burden of regulation on the LSE’s main market, the number of companies that have moved from the main market to AIM vastly outnumber those transferring in the opposite direction. In 2005, 40 companies transferred to AIM from the main market while only 2 transferred from AIM to the main market2. In the first three months of 2006, there were 8 transfers to AIM from the main market and none in the opposite direction3. AIM has also gained acceptance among institutional investors and is today regarded as an established market which is unlikely now to fail. In contrast, Hong Kong’s Growth Enterprise Market (“GEM”), described as “A ‘Buyers Beware’ Market for Informed Investors” on the Stock Exchange website, had only 10 new listings in 20054. As outlined in the Discussion Paper, the original initiatives for GEM, namely that it should be a disclosure-based, lightly regulated market administered separately from the Main Board, have been abandoned. Indeed, the greater regulatory burdens on GEM companies (as the GEM listing rules have become more closely aligned with those of the Main Board) and the often lengthy and costly application process, have meant that AIM has become the growth market of choice for many Hong Kong and PRC companies. Further, with its lighter regulatory regime and simpler, faster listing application process, AIM is coming to be seen as a preferable listing venue to the Hong Kong Main Board for a number of Hong Kong and PRC companies. An AIM listing is also attractive to the increasing number of PRC companies looking to acquire assets overseas and to raise their profile in overseas markets. The LSE’s stated objective for AIM (which already lists 247 international companies) in the coming decade is to establish it as the market for growing companies internationally. If Hong Kong is to retain its position as the pre-eminent home market for PRC enterprises, its growth enterprise market needs to be able to compete with AIM: it is no longer safe to assume that Hong Kong and PRC enterprises prefer to list at or near home. Question 1: Is there a need for a growth company market in Hong Kong? Hong Kong should have a comprehensive and diversified capital market and should provide facilities for both small growth companies and larger, established companies to gain access to capital. In particular, a growth enterprise market plays an important role in enabling entrepreneur or family-owned companies to seek expansion, facilitating management buy-outs and buy-ins and providing an exit route for venture capitalists and a venue for further fund raising for venture capital investments. As a general comment, it is considered that the Stock Exchange needs a clearly articulated policy for the SME sector and that, if this is a sector which the Stock Exchange does not wish to service, the SFC should nominate a separate exchange to serve this sector. As the SME sector is likely to be the most dynamic sector of the market in the long term, failure to provide facilities for this sector would be a lost opportunity for Hong Kong. Question 2: If so, should the market primarily serve local Hong Kong companies, or should it target Mainland-based companies or regional/international companies? It is not necessary for Hong Kong’s growth market to target companies from any particular jurisdiction. It should instead be open to companies from all jurisdictions, as was originally intended for the existing GEM5. London’s AIM welcomes companies from all jurisdictions and has specifically targeted companies from the growth markets of China, India and Russia. If Hong Kong is to establish itself as a truly international finance centre, it needs to make it easier for overseas companies to list in Hong Kong. Currently, for a company incorporated in a jurisdiction other than Hong Kong, the PRC, Bermuda or the Cayman Islands to list on either the GEM or the Main Board of the Hong Kong Stock Exchange, it has to satisfy the Exchange that the standards of shareholder protection in its jurisdiction of incorporation are at least equivalent to those provided in Hong Kong6. Furthermore, in order to fulfil additional qualifications for secondary listing on the Main Board, the Exchange has to be satisfied that the company’s primary listing is an exchange where the standards of shareholder protection are at least equivalent to those provided in Hong Kong7. The prime difficulty this presents is the uncertainty it creates even for listing applicants from well-developed legal jurisdictions such as the United Kingdom and Australia. In addition, the applicant bears the burden of proof in showing that the relevant law and exchange provide the same level of shareholder protection. This can be time consuming and costly. Although, in practice, this issue can be overcome by the overseas company restructuring with a holding company in Hong Kong, Bermuda or the Cayman Islands, there will always be overseas companies who, for tax or other reasons, do not wish to be forced into restructuring in Hong Kong or a tax haven jurisdiction. 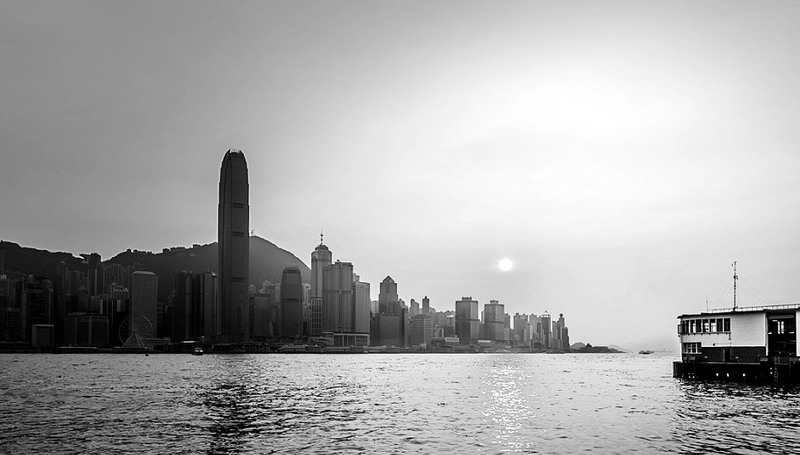 In cases where the company is seeking a secondary or dual primary listing in Hong Kong a restructuring is likely to be wholly impracticable. It also seems incongruous that a company from a well established legal jurisdiction has to be told that the path to listing in Hong Kong is uncertain and the onus is on the company to demonstrate that its jurisdiction of incorporation is acceptable to the Hong Kong Stock Exchange, whereas it will be smooth, and therefore quicker and less costly, if it restructures in Hong Kong or a tax haven jurisdiction. This is an anomalous aspect of the current Listing Rules. Efforts should therefore be made to ensure that the listing process is equally streamlined for all listing applicants, whatever their jurisdiction of incorporation. Question 3: At what stage of development should companies be admitted to the growth market – at start-up stage, or at a more mature stage? This question pre-supposes that there should be a qualitative assessment of companies prior to listing. On the contrary, investors and not the Stock Exchange should assess the commercial viability and investment merits of listing applicants. It should therefore be left to the market to determine whether a particular listing applicant is successful. Any risks associated with a particular applicant should be dealt with by way of disclosure. In addition, the responsibility for ensuring that the applicant is suitable for listing could, to a certain extent, be placed with the sponsor who could fulfil a similar role to that assumed by nominated investment advisers (“nomads”) on AIM. The Exchange should not be overly concerned about the risk of growth company failures. On any growth board, it must be expected that a certain percentage of companies will fail. The failure of individual GEM companies should not however be regarded as a failure of GEM itself, nor should they tarnish the reputation of the Hong Kong market overall. NASDAQ started with many small, often unattractive, companies: it now dominates the new issues market in the United States. Question 4: What should be the core investor group for the growth company market – retail, professional and/or institutional? Should the growth company market be restricted to professional and institutional investors only? It is not necessary to restrict investors in the growth company market to any particular group. Institutional investors will be attracted to stocks that they think will perform well. For AIM to have succeeded there must have been considerable investor appetite for smaller growing companies with potential for higher returns to off-set the greater risk. It is however worth noting that, according to the Discussion Paper8, the return of the FTSE AIM Index was higher and its risk lower than that of the FTSE 100 for the two and a half year period from January 2003 to June 2005. As the market develops, retail investors will decide for themselves whether they wish to invest. Risks associated with particular companies should be dealt with by clear disclosure in listing documents. If the intention is to make the growth market effectively a market for institutional investors only, this could be achieved by requiring listings to be achieved by way of placings, thus forcing investors to go through their brokers. Question 5: Depending on your answers to the foregoing questions, what kind of regulatory regime would be appropriate for the growth company market? In particular, should growth companies have low-cost access to public capital, or should they, because of their higher risk, be required to comply with procedures that dictate relatively higher costs than those for Main Board companies? GEM should follow AIM in adopting a light, disclosure-based regulatory regime with emphasis on the responsibilities of sponsors. It should be a true alternative market which would compete against the Main Board in the same way as NASDAQ competes against the New York Stock Exchange. It would need to be administered entirely separately from the Main Board and would require its own staff and rules. On the issue of costs, the current approval process for listing GEM applicants already imposes significant costs on applicants relative to the size of their business operations and the amounts they raise and delays applicants’ access to the market. A simpler, more streamlined listing application process should be adopted to provide small growth companies with faster, low cost access to public capital. Tiered single board – GEM and the Main Board to merge into a single board with the growth market forming the lower tier and the existing Main Board the upper tier. Further tiers might be introduced as well. New alternative market – GEM to merge into the Main Board, and a new market with an enhanced regulatory regime to be launched for growth companies. Others – do you have any other suggested structural options for GEM? The preferred option is option (c), namely the establishment of a new alternative growth company market. As outlined in the response to Question 5 above, this should be an AIM-style alternative market which would be entirely separate from the Main Board and would compete against it. It should be a lightly regulated, caveat emptor, disclosure-based market. 5 Page 5 of the Exchange’s “Consultation Paper on a Proposed Second Market for Emerging Companies”, May 1998. 6 Rule 19.05(1)(b) of the Main Board Listing Rules and Rule 24.05(1)(b) of the GEM Listing Rules. 7 Rule 19.30(b) of the Main Board Listing Rules.